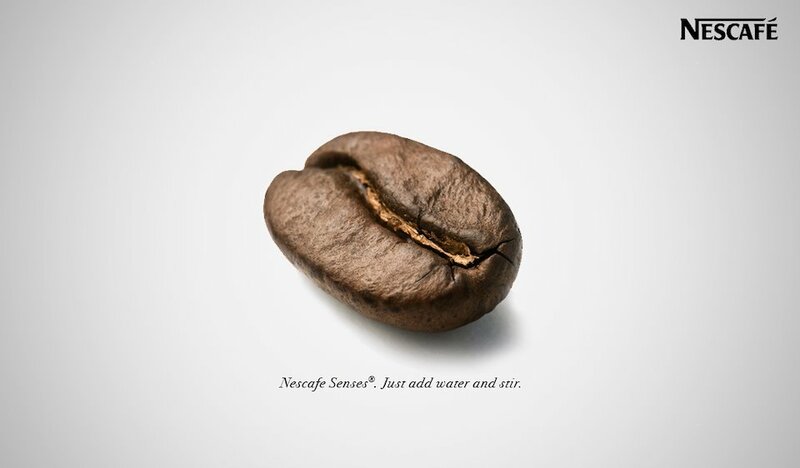 Nescafe engaged a bunch of young creatives to invent: new products, ways of communication or channels/distribution to increase the sales of instant coffee. Develop a strategy in order to deliver a real, ‘full sensorial’ coffee experience. My insight is that the first sense involved with food is not taste but sight and soluble coffee powder is anything but appealing. Soluble coffee beans (coffee powder compressed back into the shape of real coffee beans) is the solution to the problem. Offering a new visual approach to instant coffee will change the whole sensorial experience.